This competitive mode will allow players to match up against each other and receive rewards. 'Fortnite' Battle Royale update: competitive system coming this fall. Epic Games is preparing many amazing things for "Fortnite Battle Royale" players this year. In less than a month, the popular battle royale game will celebrate its first birthday, and it seems that the game developer will release some big things by then. Season 6 is supposed to start in late September and players are getting many in-game events, but Epic Games will also release some big improvement to competitive matchmaking. "Fortnite Battle Royale" developer announced custom matchmaking a few months ago, and some players have already been given access to this feature. The majority of players still can't use this, but it seems that things will change as Epic Games announced a big matchmaking change for this fall. According to the latest state development post, a robust competitive system will be released soon. Epic Games has been very active when it comes to the competitive play in "Fortnite Battle Royale." After announcing a $100 million budget for competitive gaming, the game developer has worked hard to organize different events with valuable rewards, such as E3 Pro-Am and Summer Skirmish series. Now, it looks that the developer is planning to allow all players to compete against each other. The state of development post has revealed some important information regarding this, and players are excited for this feature to be finally released to the game. "Development recently began for a robust competition system which will allow for all players to compete with one another and be recognized for their accomplishments." 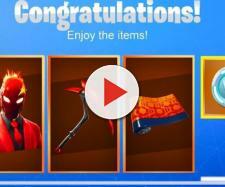 While Epic Games hasn't revealed the exact release date of the new competition system, we can expect it to come out later this fall. At the moment, we don't have more details regarding the upcoming system. However, we can expect the game developer to make custom matchmaking available to everyone and to potentially create a ranking system. Considering that many new video games will come out this fall, "Fortnite Battle Royale" will have a tough competition and will have to come up with some creative features in order to retain their players. 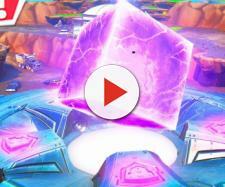 The mysterious cube keeps moving around the island and is now close to Fatal Fields. Many players believe that it will eventually reach Salty Springs and destroy it, but it most likely won't happen until season 6 starts. The next season is scheduled for late September, but might be postponed to October.